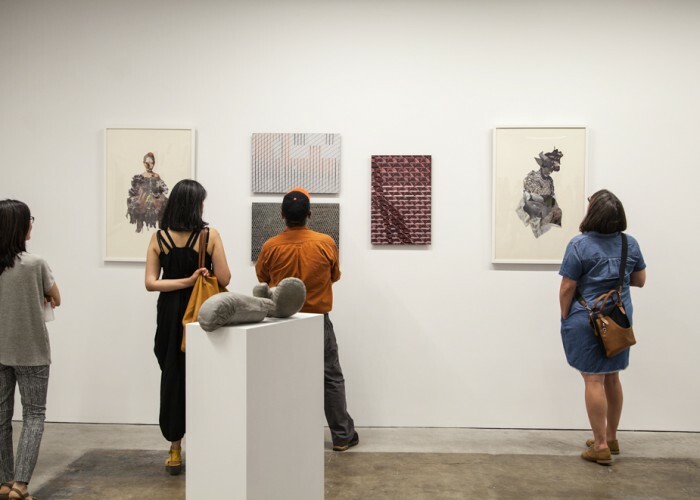 Since our inception in 2007, OFFspace has staged a dozen exhibitions in unexpected spaces and host galleries. Featuring the work of over 100 artists from across the United States, Latin America, Europe, the Middle East and Asia. Besides being pioneers of site specific curation in the Bay Area, OFFspace has singled itself out by creating shows with an wide range of artists and practices; bringing together emerging, mid-career and established artists, Bay Area and international art makers, as well as diverse genders and races. To celebrate passing the 10-year mark OFFSpace proudly hosted Altered, a show part retrospective and part curatorial experiment. Altered evolved throughout the run being “re-curated” weekly by OFFSpace and invited partner curators, featuring a different theme and works with each iteration.